Bath Oil is ideal for those dry times of the year when your skin needs more moisture. Bath Oil absorbs quickly into the skin without leaving an oily feeling. Too hot water can dry the skin and cause small veins to burst. Your skin can dehydrate if you bath too long. Ingredients: Paraffinum Liquidum, Aloe ferox Leaf Extract, Vitis vinifera Seed Oil, PEG-7 Glyceryl Cocoate, Oleyl Alcohol, Phenoxyethanol, Ethylhexylglycerin, Triticum vulgare Germ Oil, Tocopheryl Acetate, Rosa damascena Oil. Body Scrub is a superb liquid body soap, with fine granules, which can be used daily to gently remove dead skin cells leaving your skin looking rosy and feeling vibrant. Use friction/body gloves 1-2 times per week to get rid of coarse, dry skin. Because new skin cells form daily, scrubbing is essential to ensure a nurtured skin. The dead cells on the surface of the skin gives the skin its dry, dull and lifeless appearance. A scrub session is a wonder cure for dull and lifeless skin. Ingredients: Aqua, Aloe ferox Leaf Extract, Sodium Lauryl Ether Sulfate, Cocamidopropyl Betaine, Carbomer, Polysorbate 20, Prunus Armeniaca, Pulvis, Sodium Hydroxide, Benzyl Alcohol, Methylchloroisothiazolinone, Methylisothiazolinone, Citric Acid, Parfum. Glycerine Soap is a clear, perfumed, light brown soap ideal for washing the entire body. Work Glycerine Soap to a rich lather on the hands or washcloth and wash the entire body. Glycerine Soap is ideal for people that wash hand frequently because the skin dries to a lesser degree than with normal soap. Glycerine Soap contains rooibos-extract that not only gives its characteristic colour, but also contributes to the rejuvenation of the skin. Hair & Body Wash is a delightful body cleanser and shampoo in one and is also an ideal handwash. Hair & Body Wash moisturises the skin and scalp while cleansing. 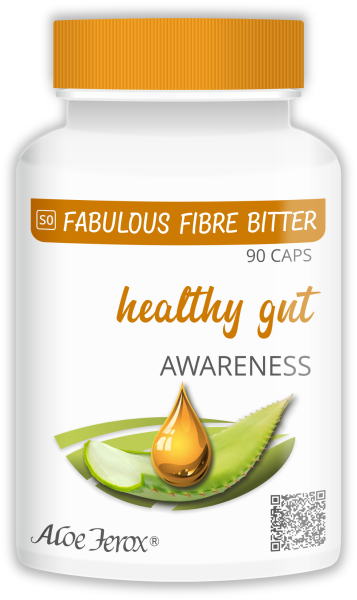 It respects the pH balance of the skin that is necessary for the natural protection against unwanted invaders such as bacteria. Showers have an invigorating effect, while bathing calms. Ingredients: Aqua, Aloe ferox Leaf Extract, Sodium Lauryl Ether Sulfate, Sodium Laureth Sulfate, Glycol Distearate, Cocoamide Mea, Carbomer, Glycerin, Polyquaternium-7, Polysorbate 20, Cocamidopropyl Betaine, Sodium Hydroxide, PPG-5-Ceteth-10 Phosphate, Dimethicone, Benzyl Alcohol, Methylchloroisothiazolinone, Methylisothiazolinone, Cassia Hydroxypropyltrimonium Chloride, Parfum. Liquid Body Wash Bitter is a perfume free body cleanser, ideally suited for sensitive and problematic skin. Specially suited for cleansing damaged and eczema related skin conditions. Ingredients: Aqua, Aloe ferox Leaf Extract, Aloe ferox Leaf Extract, Sodium Lauryl Ether Sulfate, Cocamidopropyl Betaine, Carbomer, Glycerin, Polysorbate 20, Sodium Hydroxide, Benzyl Alcohol, Methylchloroisothiazolinone, Methylisothiazolinone. Luxury Foam Bath cleanses your skin while you soak and relax. Ideal bath temperature at 35 ºC. It is advisable not to bath longer than 30 minutes. Can cause capillary veins when bath water is too hot. Warm baths has a relaxing effect on tired muscles. Ingredients: Aqua, Aloe ferox Leaf Extract, Sodium Lauryl Ether Sulfate, Cocamidopropyl Betaine, Carbomer, Sodium Hydroxide, Benzyl Alcohol, Methylchloroisothiazolinone, Methylisothiazolinone, Rosa damascena Oil, Parfum. Pearly Jasmin Hand Wash is a pleasantly fragranced liquid soap which gently cleanses tough dirt without irritating the skin. Pearly Jasmin Hand Wash helps to retain more of the skin’s natural moisture, leaving the hands soft and moisturised. Ingredients: Aqua, Aloe ferox Leaf Extract, Sodium Lauryl Ether Sulfate, Cocamidopropyl Betaine, Sodium Laureth Sulfate, Glycol Distearate, Cocoamide Mea, Carbomer, Polysorbate 20, Glycerin, Hydrolyzed Wheat Protein, Sodium Hydroxide, Benzyl Alcohol, Methylchloroisothiazolinone, Methylisothiazolinone, Citric Acid, Parfum. Shaving Cream contains an active ingredient that causes the hair to stand up, thus enabling you to shave close to the skin. The volume of the beard hair increases, making the hair softer and easier to shave off, thus causing less damage to the skin during the shaving process. 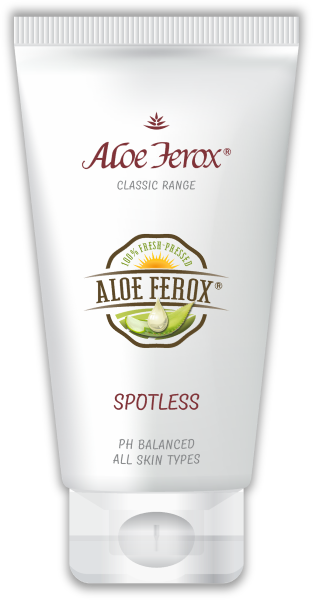 Aloe has a soothing effect on symptoms of various shaving-related problems. Soften hard beard: cover the whole beard area with a warm, wet face cloth for a few minutes. The moist warmth will soften your beard and skin and reduce shaving rash. Ingredients: Aqua, Aloe ferox Leaf Extract, Sodium Lauryl Ether Sulfate, Sodium Lauroyl Sarcosinate, Stearic Acid, Cocamidopropyl Betaine, Carbomer, Cetyl Alcohol, Glycerin, Hydroxyethylcellulose, Glyceryl Stearate, Potassium Hydroxide, Benzyl Alcohol, Methylchloroisothiazolinone, Methylisothiazolinone, Sodium Hydroxide. Shower or bath, using refreshing Shower Gel Gents with a mint fragrance making men feel refreshed. Start with a warm shower, but finally switch to cold water. It promotes blood circulation and will leave you feeling warmer when finished. Ingredients: Aqua, Aloe ferox Leaf Extract, Cocamidopropyl Betaine, Sodium Lauryl Ether Sulfate, Carbomer, Polysorbate 20, Glycerin, Sodium Hydroxide, Mentha piperita Leaf Oil, Benzyl Alcohol, Methylchloroisothiazolinone, Methylisothiazolinone. Shower or bath, using refreshing Shower Gel Ladies which is specially fragranced with an irresistible jasmine aroma. Ingredients: Aqua, Aloe ferox Leaf Extract, Sodium Lauryl Ether Sulfate, Cocamidopropyl Betaine, Carbomer, Polysorbate 20, Glycerin, Sodium Hydroxide, Benzyl Alcohol, Methylchloroisothiazolinone, Methylisothiazolinone, Parfum.